Actor Jason Priestley, hockey great Darryl Sittler and filmmaker Deepa Mehta are among the latest inductees to Canada's Walk of Fame. Organizers of the Canadian honour unveiled the 2016 list at a midday event in Toronto Tuesday. 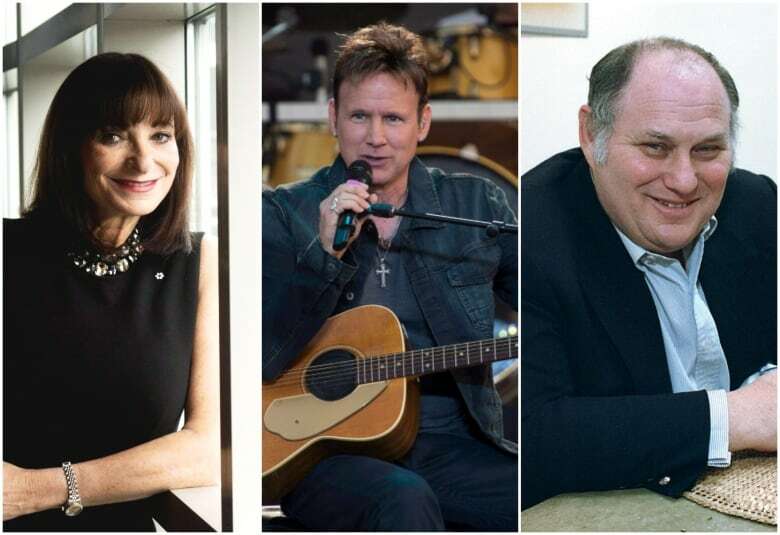 The list also includes fashion insider Jeanne Beker, musician Corey Hart and the late actor and director Al Waxman. "Each year, we shine the spotlight on remarkable Canadians who have excelled in their careers and have contributed to the cultural fabric of this country, inspiring future generations to follow in their footsteps," Melanie Hurley, CEO of Canada's Walk of Fame, said in a statement. "We are proud to honour this year's inductees whose achievements will leave a lasting legacy for generations of Canadians." Vancouver-born Priestley, best known as Brandon Walsh from TV's Beverly Hills, 90210, has continued his career as an actor, most recently with the dark comedy Call Me Fitz, balanced with work as a TV director. He made his feature film directorial debut with 2013's Cas & Dylan. Hockey Hall of Famer Sittler, born in St. Jacobs, Ont., is the iconic former captain of the Toronto Maple Leafs, who also played for the Philadelphia Flyers and Detroit Red Wings. Toronto filmmaker Mehta, originally from New Delhi, is the Oscar-nominated director of movies such as Water, Midnight's Children and Beeba Boys. Her latest, Anatomy of Violence, is part of this fall's Toronto International Film Festival lineup. Fashion journalist and broadcaster, style commentator and entrepreneur Beker gained renown as the longtime host of the internationally syndicated series Fashion Television. The Torontonian has continued as one of Canada's preeminent voices about fashion. Juno-winning Montreal musician Hart rose to fame in the 1980s with hit songs such as Sunglasses at Night and Never Surrender. He continued his career writing, producing and collaborating with a wide range of artists, including Céline Dion, k-os, Jane Siberry and his wife, Julie Masse. Waxman, who died in 2001, was best known to Canadians as The King of Kensington — the popular CBC-TV series in which he starred as a beloved convenience store owner in the famed, working-class Toronto neighbourhood. The prolific and acclaimed actor-director's credits also include the classic procedural series Cagney & Lacey, stage plays such as Death of a Salesman and The Diary of Anne Frank, as well as a myriad of TV appearances (from The Littlest Hobo and Night Heat to Street Legal, Murder, She Wrote and Due South). This year's Walk of Fame festivities will include the presentation of the Allan Slaight Honour — an award recognizing young, rising music stars who have achieved international success — to country singer Brett Kissel. The 2016 Walk of Fame honourees will be celebrated at a gala in Toronto on October 6. The ceremony will be filmed by Global television for later broadcast in December.